With the general election out of the way for now, councillors in Mayo have called for the decision that saw 10,000 Mayo people being subsumed into the Galway West constituency to be reversed ahead of the next time that the voters go to the polls in a general election. 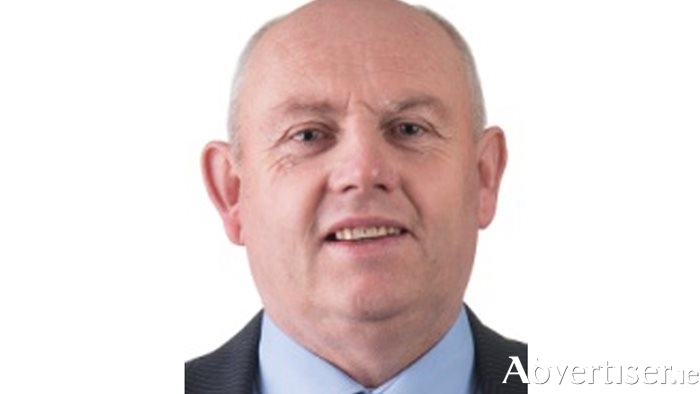 Fine Gael Cllr Patsy O'Brien tabled a motion at the April meeting of the local authority calling to reinstate Mayo as a five seat constituency after the completion of the census at the end of the month. Speaking about his motion, Cllr O'Brien said: "In 2012, 10,000 people from the south Mayo area were transferred into the Galway West region. I didn't make political gains from it at the time because there was a local election coming in 2014 and then we had a general election coming after that. I'd have been seen as someone who was jumping on the bandwagon in relation to this to make a politcial issue. "I'm here today to make it quite clear that I want something done about this for the county I represent. It has fragmented the county it has now discarded part of the county in the south Mayo area. As somebody who has canvassed in both the local and general election, nobody has asked me in relation to the savings that will take place; this was about savings, believe me, in reducing the number of TDs in Dáil Eireann. Nobody asked me in my travels how much we saved, but everybody asked me why are we voting in Galway West. I want this retracted, I don't think it makes sense. "Dublin did nothing in relation to making this successful, all they did was take numbers. It didn't matter where you were based, be it parish or county, they just dropped the finger on it and left it in limbo. What I'm saying plainly is that south Mayo is a political island, it's a political island where nobody in the Oireachtas is living in that area. There are 10,000 people there, the political representation they have is from myself, Cllr Damien Ryan, and the five other councillors in the Claremorris area. "I have no problem with how many people they want to have representing Mayo there, be it five, four, three or two, provided they leave the county boundaries as they are and leave us in Mayo, let us represent the people in Mayo, let us live in Mayo and what I want here today is the strongest support of that this will form an integral part of a review process. I'm very annoyed with it all along, I don't want to have it any more." His party colleague Cllr Tom Connolly voiced his support saying, "I'd support Cllr O'Brien. The people in Mayo were just pushed into Galway West so they could make up a seat in Galway. The biggest losers out of this were the people in east Mayo, we have no TD in Claremorris, we lost John O'Mahony who moved into Galway West at the behest of the party. Claremorris is the biggest loser in all of this, I fully support Cllr O'Brien. This issue is far from over, the reality of it is, when you take a piece of Mayo and put it into Galway and take bits and pieces of other counties and move them elsewhere, it's crazy stuff that went on to make up the figures." Fianna Fáil Cllr Damien Ryan was also fully supportive of the motion, saying: "You are 100 per cent right, Cllr O'Brien, to go back to the whole issue of Mayo and the downgrading of a five seater to a four and going into Galway West. There is no doubt the southern end of the county finds itself isolated and in a no man's land when it comes to elections. On this side of the house, we're lucky enough that we have a representative not far from the county boundary, but that being said, Mayo things that are dealt with at a local level also become Mayo issues at national level, and when you go over the county boundary the same enthusisam is not there. I want to support this and the way Cllr O'Brien has put it forward." He went on to say the decision was made because it was a popular one, but popular decisions are not always the right decisions. "But this was a populist decision, by reducing the Oireachtas by eight is minuscule in national budgetary terms, but by attacking the politicians it's the popular thing to do. We should be coming together with well thought out policies and with consensus, because once elections are over we are all part of representing our place. This was something that was thrown in because it seems to be popular and it got headlines. It's time to stand up against what the popular thing is and do the right thing in the interests of the county and your country. Popular decisions are not always right decisions."